I grew up as a NickKid so it was only natural that I became a NickMom! As a NickMom I spent too many mornings watching Dora the Explorer, so much so that I was able to sing along to Dora's song and knew when Swiper the Fox was coming around, that silly fox! Thankfully my kids are older but we still watch NickJr so when NickMom came out I was thrilled! Every night at 10pm NickJr turns to NickMom, this means if I am caught watching Sam & Cat, I can say I am just waiting for my NickMom shows to come on. 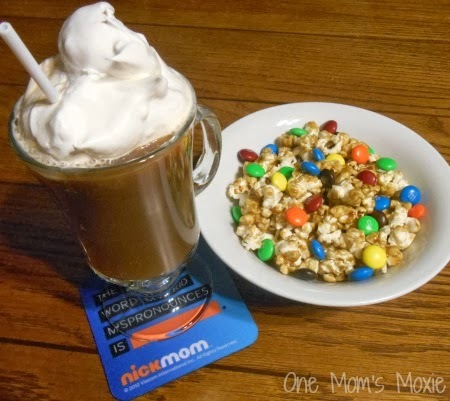 I just recently got to enjoy a Moms Night In watching the new show Instant Mom while enjoying some adult beverages. 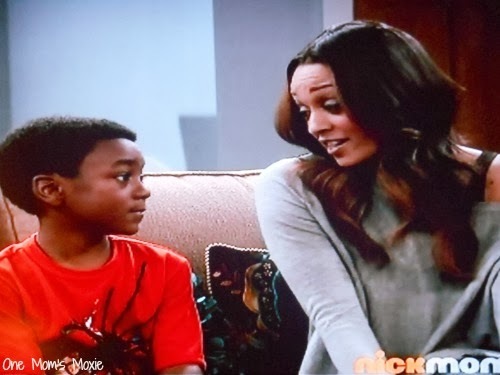 If you have never watched Instant Mom you're missing one #MotherFunny show! The show is based on Stephanie, played by actress Tia Mowry-Hardrict, becoming an Instant Mom to three children. Her husband Charlie, played by actor Michael Boatman, is supportive and understanding to all the issues that seem to arise when Stephanie tries to bond with her stepchildren. It's a cute show that many blended families can relate to. I am a stepmom as well and to say it's a hard job is putting it lightly, but it's nice to see a show that adds some humor to the same issues families may have dealt with or will deal with in the future. After a hectic week of kids fighting with each other and me, I was cooked, I needed some much needed Mommy Time. Sometimes as moms we need to have a friend over and laugh at the dumb things we have gone through in the last week. So I had my best friend over we enjoyed a couple (okay maybe more like a few) of Mommy Only drinks and some snacks. 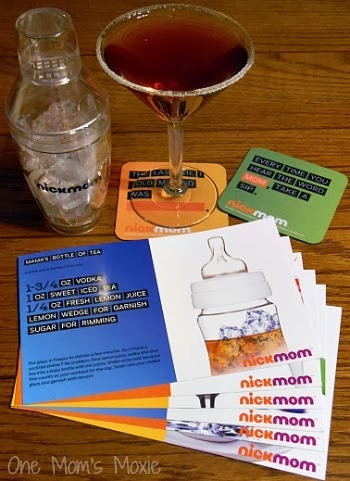 I was sent some awesome NickMom items, we loved the drink coasters, especially the green one that said, "Every time you hear the word Mom, take a sip." they were so fun! I also received a NickMom shaker, which I love it makes the perfect size drinks. I wanted to share my new favorite drink with you all. I made the Mama's Bottle of Tea drink but I don't care for lemon so I decided to make my own Mommy's Only Sweet Tea. If I had a baby bottle I swear I would have drank it out of it for the fun of it! This drink is so easy just shake your preferred sweet tea and vodka, then pour into a sugar rimmed glass. We ended the evening with a coffee drink and a little dessert. What mom doesn't want to devour some sweets without little dirty fingers around?! No sharing this time! 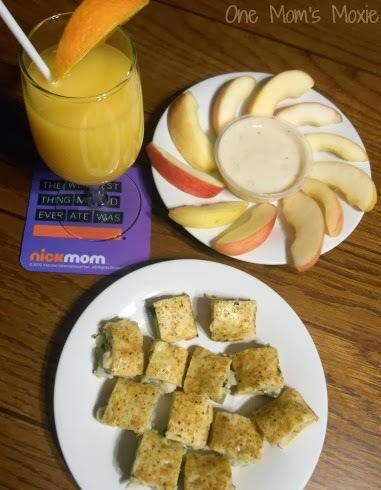 It was fun enjoying a moms night in, having a drink with a friend and watching my new favorite mommy show, Instant Mom. Whether you are a mom or not this new NickMom show is a cute to watch. Take the time to give yourself a Mommy's Night In with a friend or two, watch some NickMom together, you'll find yourselves laughing and relating to the shows. 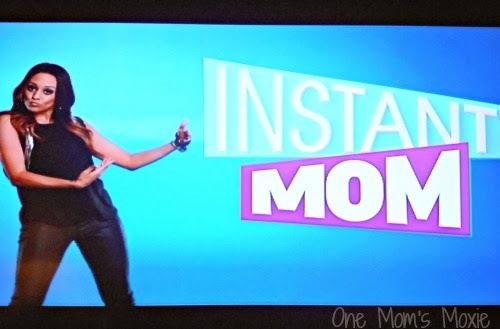 Watching shows like Instant Mom is a nice way to relax after the kids have gone to bed, even though I still have Mommy Chores to do like folding laundry, watching NickMom makes folding that fourth or fifth load not so bad. You can read all about NickMom on Nick.com. You can follow NickMom and Instant Mom on Twitter and also follow NickMom on Facebook. NickMom airs new episodes on the Nick Jr. channel every Sunday at 10:00 pm EST and reruns can be viewed every night. Please check your local listing or this link to confirm the time in your specific time zone.